Disney's big theme this year is "Celebrate Today." 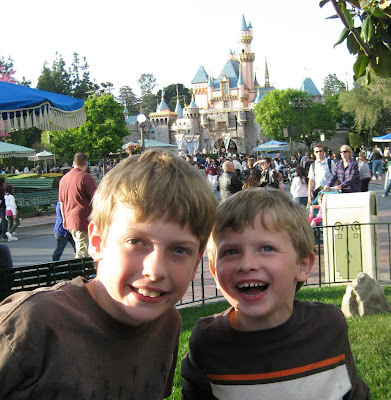 We did just that, and took the boys to Disneyland in Anaheim. It was a huge surprise, and all day they exclaimed that it was the best day ever! As the day drew to a close, we ended up having something to celebrate. 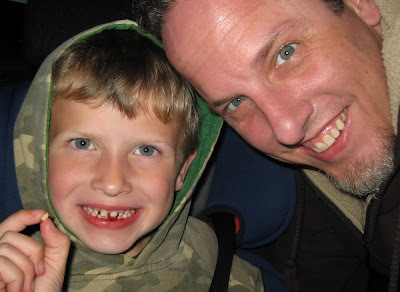 Benjamin lost his second tooth, at the Magic Kingdom! We were pondering whether it would be the Tooth Fairy or Tinker Bell who would be making a visit to our house tonight!